Often imitated, but never duplicated! 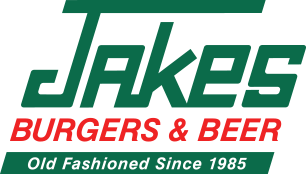 From our locally sourced, never frozen 100% beef patties to our fresh daily baked buns, quality cheeses, toppings and sauces, Jakes sets the standard for the true old-fashioned burger. Add in our famous hand cut fries, our variety of chicken, veggie, turkey options, Kickin’ Chicken fried ribeye or chicken, signature salads, sandwiches and Chicago-style Hot Dawgs, hand-spun milkshakes, creative signature cocktails and one of the most extensive local and national beer selections in Dallas/Fort Worth and you have a dining experience like no other.  The best old-fashioned burger on the planet can be found at any of our 9 DFW locations. Grab your friends and family and find your favorite neighborhood Jakes. At Jakes, we are a family of service focused rock stars that strive to make every experience at Jakes one to brag about. We believe we have a very noble cause – Our Cause: At Jakes, we wake everyday ON FIRE to serve our guests the best damn old-fashioned burger on the planet. Hand-cut fries, freshly-baked buns and locally sourced, never-frozen meat make people happy! We make people happy!